Do you have a product to sell, a story to tell or a ton of knowledge to share? If so, I encourage you to read about how site sell can help you put your words into a web site ready to share with the world. 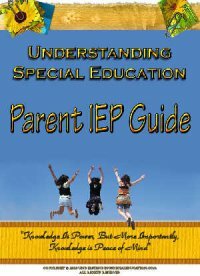 The following are links to special education sites and organizations that support the special needs of children and their families. Asperger Advice: A positive point of view offering solid information about Asperger Syndrome. Autism Speaks: Dedicated to funding research into the causes, prevention and treatment of autism. Autism Society: Supporting families affected by autism and Asperger's syndrome. Beating Dyslexia: An informative site for people who want to overcome dyslexia, not just cope with it. Best Books for Kids: Reading strategies and book ideas for children of all ages. Birth Injury: A comprehensive resource on birth injury including cerebral palsy, infant brain damage and infant wrongful death. Bonnie Schinagle Law: New York special education lawyer Bonnie Spiro Schinagle, Esq. has first-hand experience in protecting your legal rights and giving you a true voice in your child’s educational future. Calm Clinic: A comprehensive resource site for families dealing with anxiety disorders, depression and panic attacks. Child Care Business: Not just Child Care Jobs--This site is dedicated to helping new in home child care providers become successful. This is a stay at home business that works. Visit us for free advice on how to have a profitable business and provide high quality care. PARENTS--learn about child care, child safety, development and provider selection. A parenting must read. Children Succeed: Innovative communication and social skills games for children with Autism and Asperger syndrome. 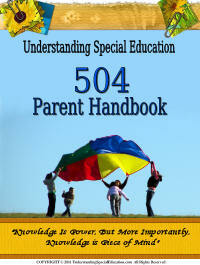 Exclusive information for parents, teachers and other professionals is also provided. Concordia University Special Education Program: Interested in becoming a special education teacher? Concordia University offers one of the most comprehensive programs in the nation. Learn more today. Feeding Underweight Children: Tips and techniques for parents on what and how to feed their child to promote weight gain and healthy nutrition. Forest Trail Academy: Private on line school that provides virtual K-12 education across the globe. Geometry Formulas: Detailed insight into this subject including formulas, tutoring and assistance for students of any level. Indy Child Therapist: Jessica Hood, LCSW, is a child and family therapist in the Indianapolis area addressing the needs of children and their families. Math Problem Solving: Learn math in a fun, friendly way. Various techniques are available as well as a forum and tutoring information. Social Skills Central: Tools and techniques on how to improve and teach your child social skills. The Tutoring Expert: Expert tutoring advice and resources for students and parents from the author of Be A Great Tutor. Valley SNAFU: Information and advocacy services regarding parental rights and programs for children with special needs. Virtual Speech Therapy: Virtual Speech Center specializes in providing speech/language assessment and therapy online (tele-practice) via web-based software. We offer free IPhone applications for our speech pathologists. Wright's Law: Specific case information about special education law.